Japanese shoppers opt for older console over hard-to-find PlayStation 3. TOKYO–Sales of the almost 7-year-old PlayStation 2 beat those of the brand-new PlayStation 3 in Japan in late January for the first time, according to sales figures published today. For the week of January 22 to January 28, sales of the PlayStation 2 totaled 20,995 units while those of the PlayStation 3 were 19,996, said Media Create. The research company receives data from around 3000 stores across Japan and uses that to estimate nationwide sales. The figures amount to more bad news for Sony Computer Entertainment, which missed its initial shipment target for the console. The company had hoped to ship 2 million PlayStation 3 consoles worldwide between the Japan launch on November 11 and the end of 2006 but it didn’t accomplish that until mid-January. It’s sticking by its next shipment target of 6 million consoles by the end of March. Sales of the PlayStation 2 have been so good that Sony this week raised its full year shipment target for that console to 13 million units from 11 million units. A combination of the low price–it costs $133 versus either $414 or $497 for the PlayStation 3–and a strong catalog of software titles is continuing to attract customers to the console. Nintendo’s competing Wii console, which launched shortly after the PlayStation 3, sold 83,754 units in the week. The surprise winner among the new-generation consoles was Microsoft’s Xbox 360, which managed to achieve a sales increase of just over 300 units to 7365 units in the week when overall sales of the PlayStation 3, Wii and Xbox 360 fell by just over 3000 units to 111,115 units, according to the figures. The biggest selling hardware of the week was Nintendo’s DS Lite, which sold 194,526 units against 35,700 units for the rival PlayStation Portable. In the software ranking “Grand Theft Auto: San Andreas,” which launched in Japan on January 25, topped the chart with estimated sales of 227,261 units. That’s more than double the second ranked “Dragon Quest Monsters Joker” for the Nintendo DS. 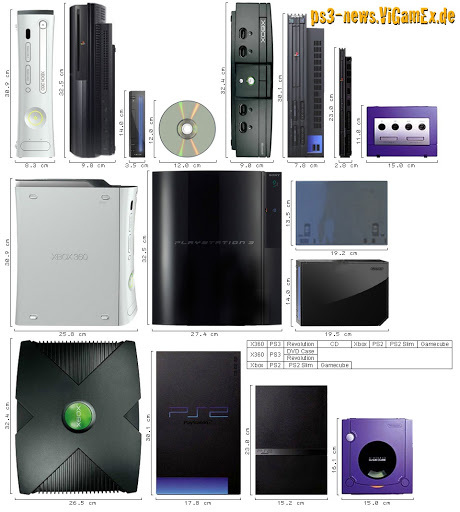 This entry was posted in Gaming, Nintendo, Nintendo DS, PS2, PS3, PSP, Sony, Wii, Xbox 360. Bookmark the permalink.